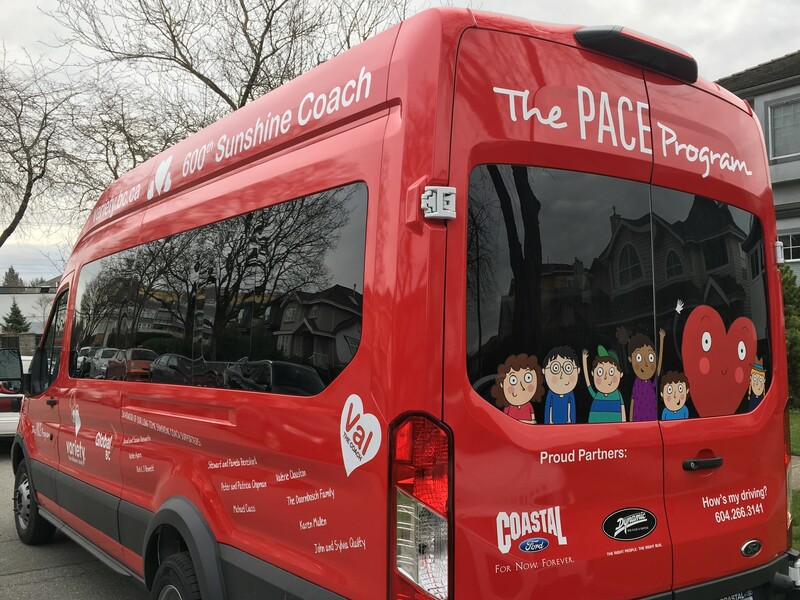 We are delighted to be a recipient of the Variety Sunshine Coach Program, which provides the Family Program with a 15 seat van to bring children (and their parents) to and from the program. We are especially excited to be the 600th Sunshine Coach that Variety – The Children’s Charity has offered in partnership with BC charities to support children’s access to programs! The PACE Sunshine Coach will officially be announced February 11, 2018, at the 52nd Show of Hearts Telethon on Global TV. Proceeds from the annual broadcast event on Global BC have helped countless families and children. Last year’s event saw Variety raise over $5,000,000!